Youtube channels are collections of videos that different people or groups put together. Subscribe to a channel to be notified whenever a new video is added to the channel. 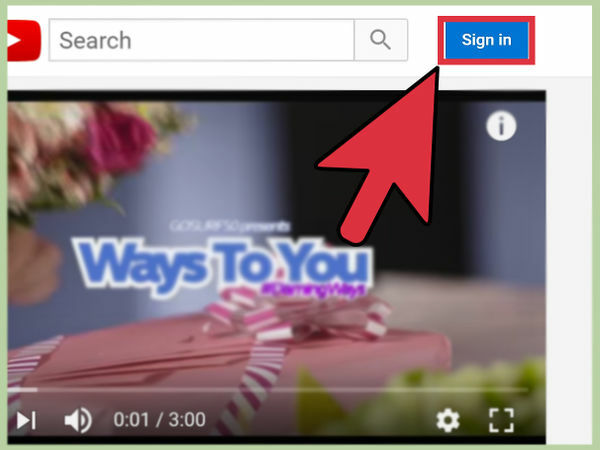 In order to subscribe to a channel, you will need a Google account. 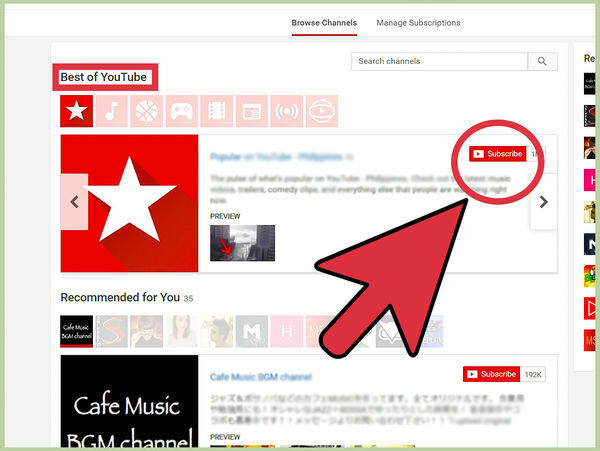 Click the YouTube menu to the right of the YouTube logo, and then click Browse channels. The menu icon is three horizontal lines. 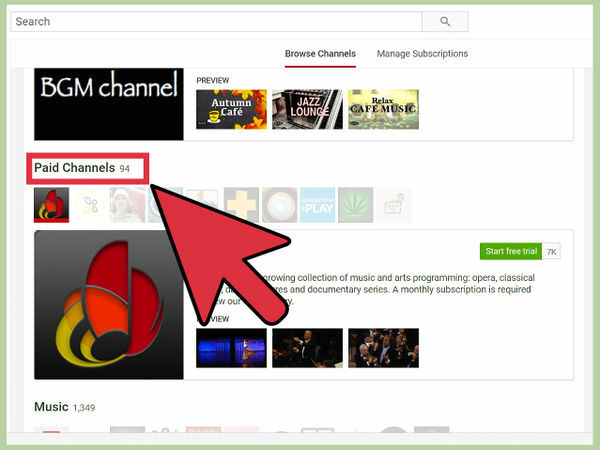 On the Browse Channels page, the channels are grouped into categories. Scroll down to see more categories. Point the mouse to a category, and then click < or > to see more channels in that category. In the search box, type the name of a topic you're interested in, and then type channel. Press Enter. You can also search for specific people, such as comedians, who might have a YouTube channel. When you find a channel that looks interesting, click the red Subscribe button. 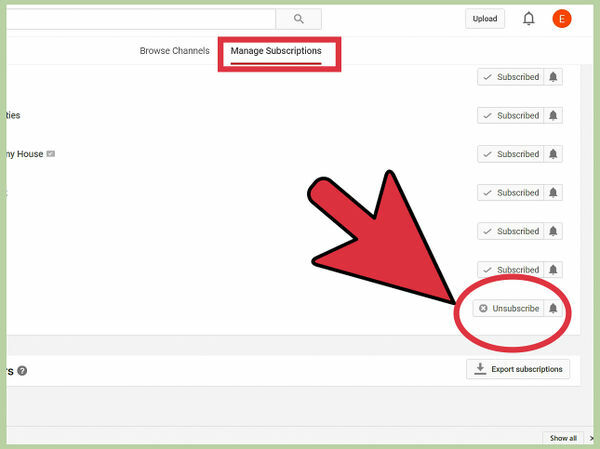 Click the YouTube menu button, and then click Manage subscriptions. 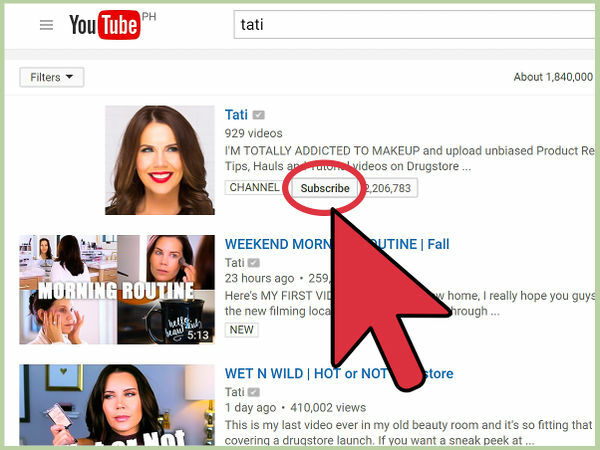 To unsubscribe from a channel, click the Subscribe button. When you point your mouse at the Subscribe button, it will say Unsubscribe. You will still need to click it. Under Best of YouTube, there are a row of red icons. 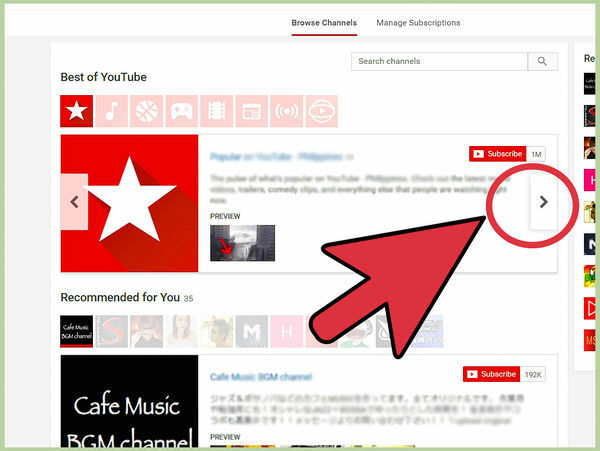 Each of these red icons are YouTube created channels organized around different themes, such as Music, Games, New, and Popular. Click an icon to read more about it. Click Subscribe to subscribe to a channel. 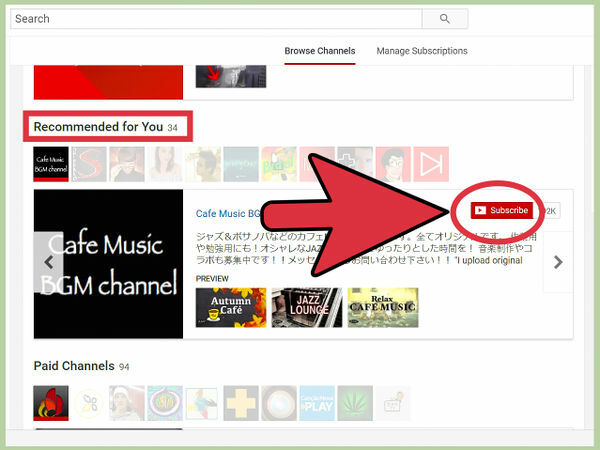 Under Recommended for You, there are a row of channels based on channels YouTube thinks you'll like, based on videos you've watched and other channels you've subscribed to. Click an icon, and then click Subscribe. Click the Recommended for You link to see all of the channels in a list on one page. The Browse Channels page also has the following channel Categories: Paid Channels, Music, Comedy, Film & Entertainment, Gaming, Beauty & Fashion, From TV, Animation, and many others. 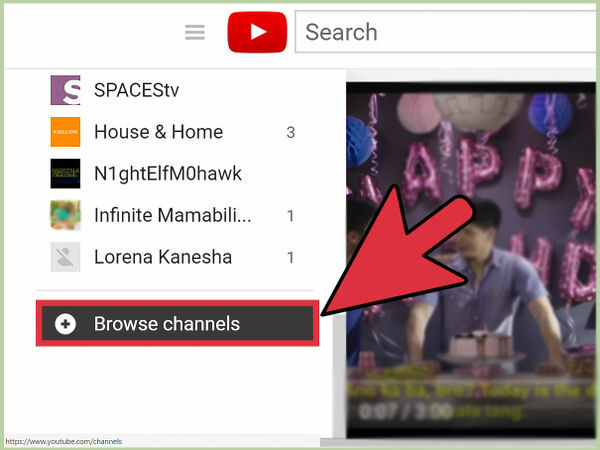 Click a channel category link to see all of the channels in that category. 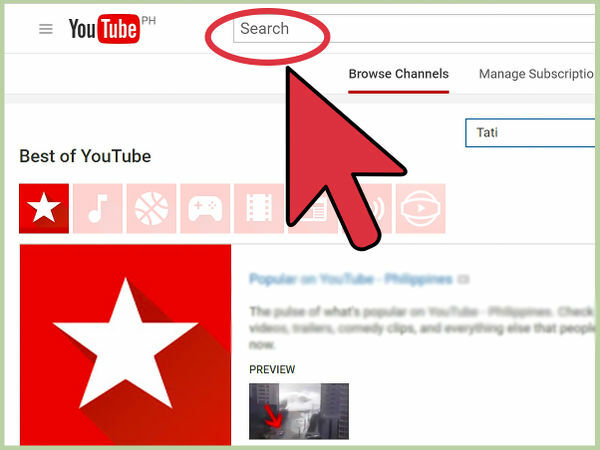 Type a search term in the YouTube search field. Press Enter. Click Filters, and then, under Type, click Channel. 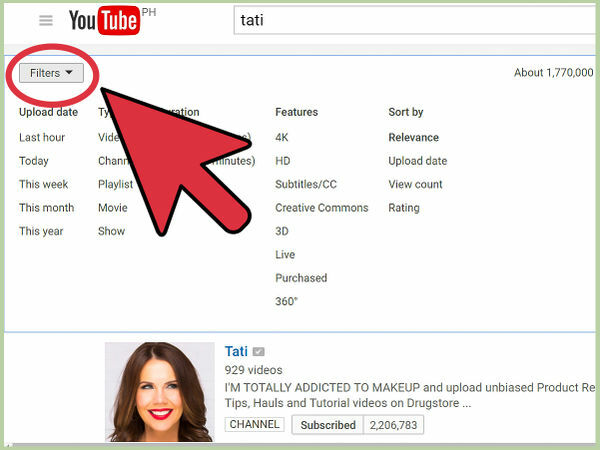 YouTube lists all of the channels that matched your search term. Click Subscribe to subscribe to a channel.